Nizam is considered to be one of the strong areas for film collections. 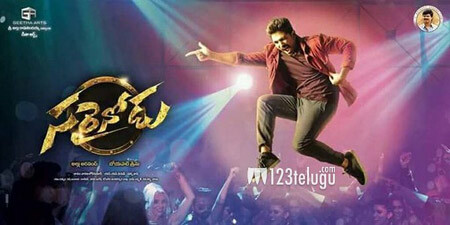 Allu Arjun’s Sarrainodu released to some packed houses yesterday and latest update reveals that it has collected a total share of 3.18 crores on the first day of its release. Bunny’s mass following and the huge buzz for the film saw some superb openings in both the single screens and multiplexes. With the weekend setting, trade pundits reveal that the film might collect some decent figures as well. Directed by Boyapati Sreenu, this film is produced by Geetha Arts.